My focus is on understanding and supporting your business. If you’re interested in working with me, please click the button below to fill in the website worksheet form. I’ll respond with a detailed proposal and perhaps a few questions to make sure I fully understand your requirements, and that I’m the right person to work with you on your website project. Ready to work with me? Click here to open the Website Worksheet form. Everyone will need something different, so prices will vary. When pricing a project the technical elements of the build are taken into account, as well as how much expertise, time, dedication, and creativity you need brought to the table. The investment required? Generally between $2000 – $5000. 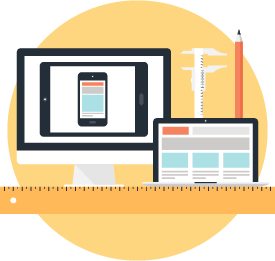 Website development is much more than simply throwing a few web pages together. Your website will not just tell people who you are and how to contact you – it will encourage them to stay, offering a meaningful way to interact with your content. The process begins with in-depth research about your business, your ideal customers, the competition and your industry. The end result is a website that converts visitors into customers. I craft effective, and visually cohesive designs. I not only create beautiful, fully functional bespoke websites but also ensure they are effective in building trust and brand awareness. I love to develop and code! Although invisible to users and ignored by most, I know that well written code makes your website stable, secure, SEO friendly and displays well across devices. The hard work has come to fruition and it’s time to show the world! This is where the journey begins. I will always be by your side to support any of your website, hosting and marketing needs. 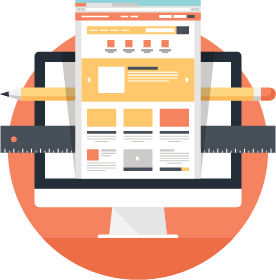 i4webdesign has several options when it comes to looking after your website. Support doesn’t end at the launch. Once your site is up and running I’m still here and ready to help. If you forget how to do something or get stuck, I’m just an email or phone call away. 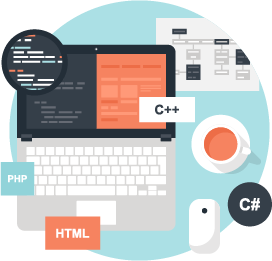 I can help you manage the technical aspects of your site, such as server management. You can also count on me to update your site quickly, so that you can change just as fast as your industry does.